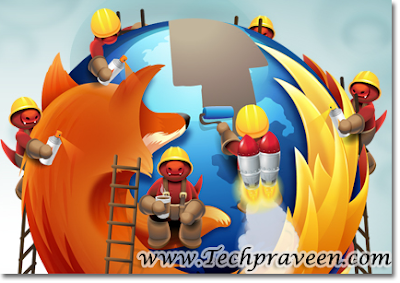 Firefox the most popular browser recently made a record break, with version 3.0 clocking over 6 million downloads worldwide and cementing its place in the Guinness Book of World Records for most downloads in a 24-hour period. Now Mozilla team has asked ‘the people’ to pitch in their ideas for a brand new home tab in the upcoming Firefox 4. And now that the submissions period is over, the team is putting it to the vote, with the community choosing the ideas it likes the most. Last December, Mozilla started taking submissions from anyone with a good idea.In total, 47 people submitted their entries, in video form, explaining their concepts and approach to designing the new home tab. All the entries are now on the Mozilla Labs Design Challenge page set up for the voting. 1. Go to Firefox Home Tab Design Voting Page. 2. Enter a email Id and click Submit. 3. Vote on five randomly selected concepts from 1 (‘I don’t like the concept’) to 5 (‘It’s awesome!’). You don’t need to vote on all five concepts at once – you can come back, continue voting or make changes. Simply log in using your email address. So, head on to the voting page and vote on what you’d like to see in Firefox 4. And, even though you can only vote on five entries, you can view all 47 of them to see what others have come up with. The voting runs through March 1, after which we should get to see what the most popular concepts are.